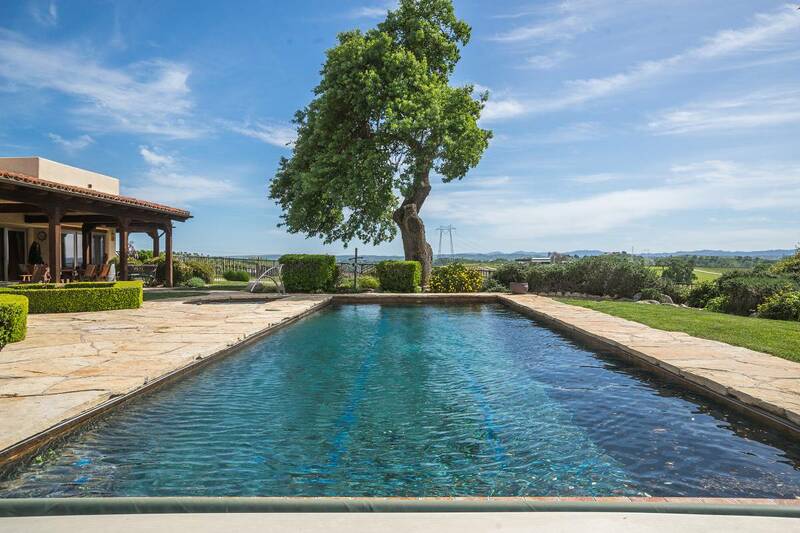 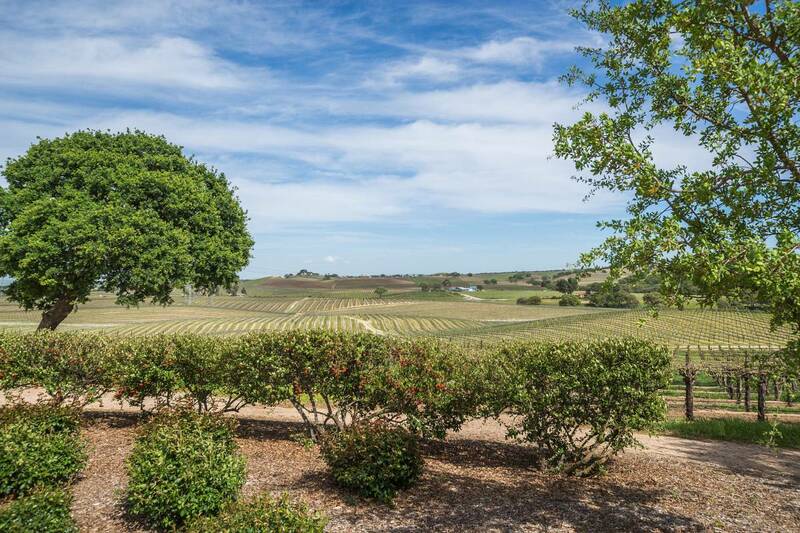 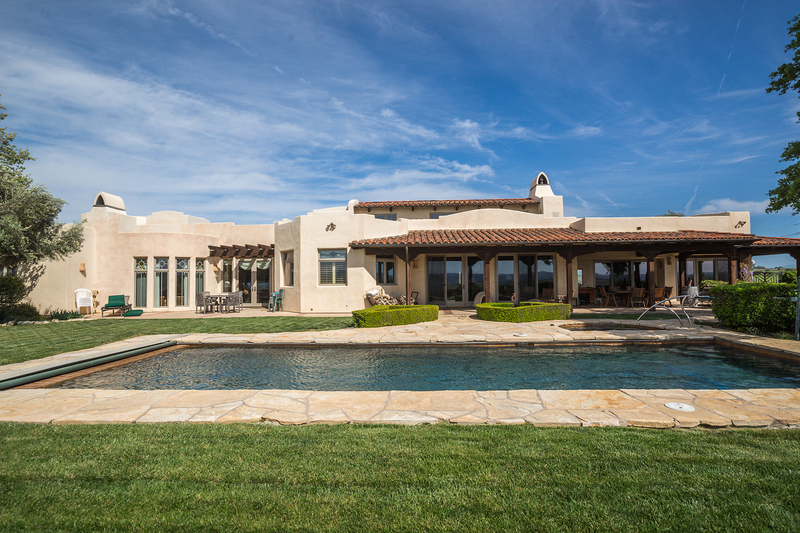 Located on the east side of Paso Robles, in an area of highly acclaimed wineries and tasting rooms, this 4853 +/- SF custom home is situated on 93 +/- acres. 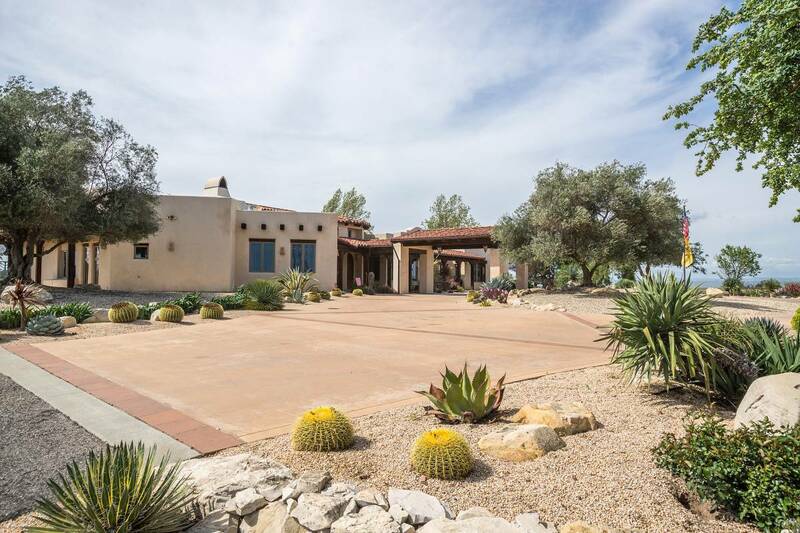 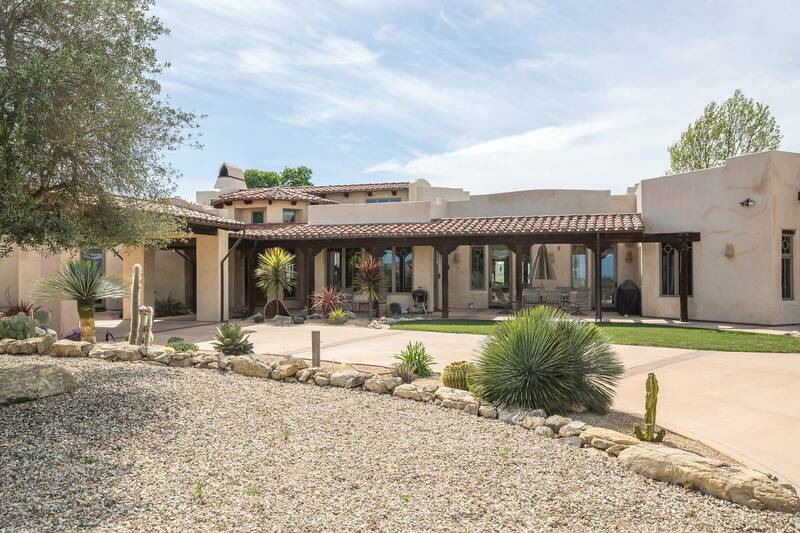 Meander up the driveway past the lush vineyards, cactus, succulents and mature Olive trees to the circular drive onto your own hilltop Santa Fe style oasis with panoramic vistas in every direction. 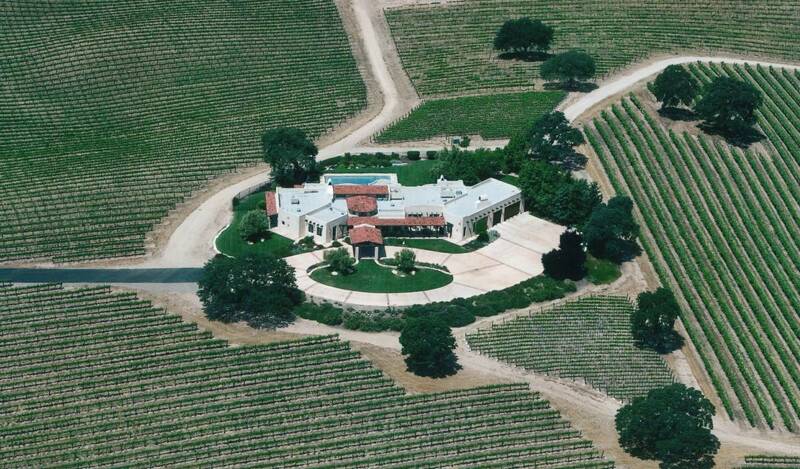 The vineyard varietals consist of 75.4 +/- acres and include Cabernet Sauvignon, Barbera, Mourvedre, Syrah & Zinfandel. 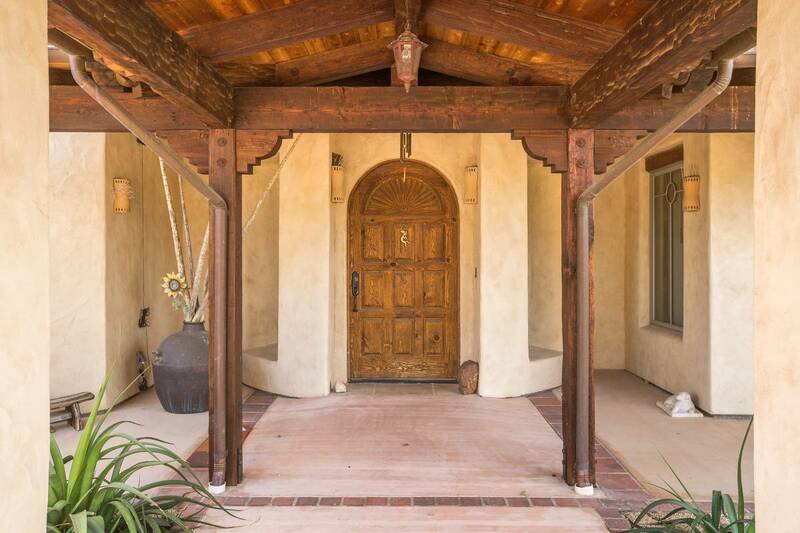 Every detail of this home has been carefully selected from knotty-pine arched doors, reclaimed 100 yr. old wood beams, artist designed stained-glass windows and clerestory living room ceiling. 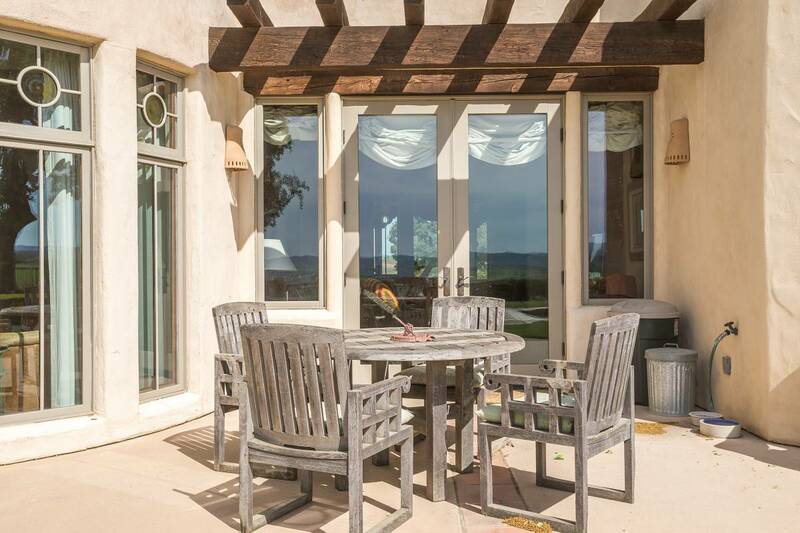 Multiple French doors in the living room lead you to the covered patio, pool, spa and grassy knoll all facing west to enjoy the sunsets and insurmountable views. 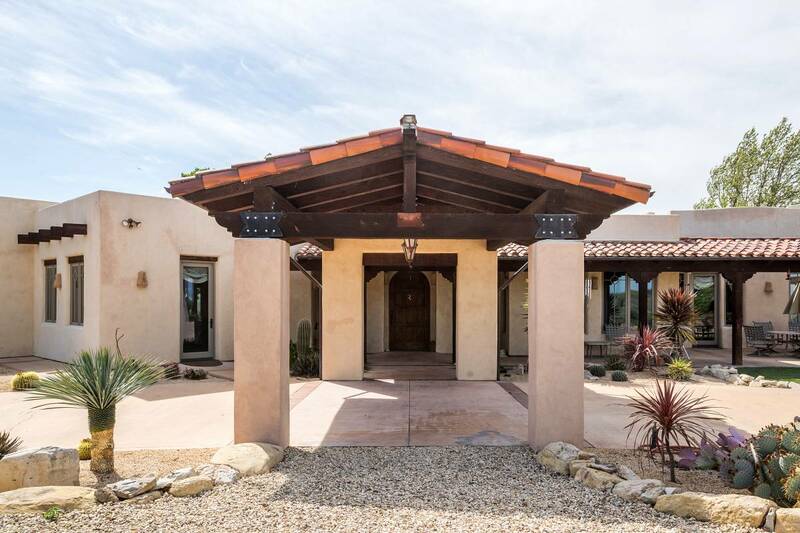 The kitchen is a chef’s dream with two dishwashers, Viking range with two ovens, island with sink and electric oven, custom alder cabinets, Sub-Zero refrigerator & freezer, expansive butler’s pantry, walk-in food storage, granite floors, countertops and backsplash. 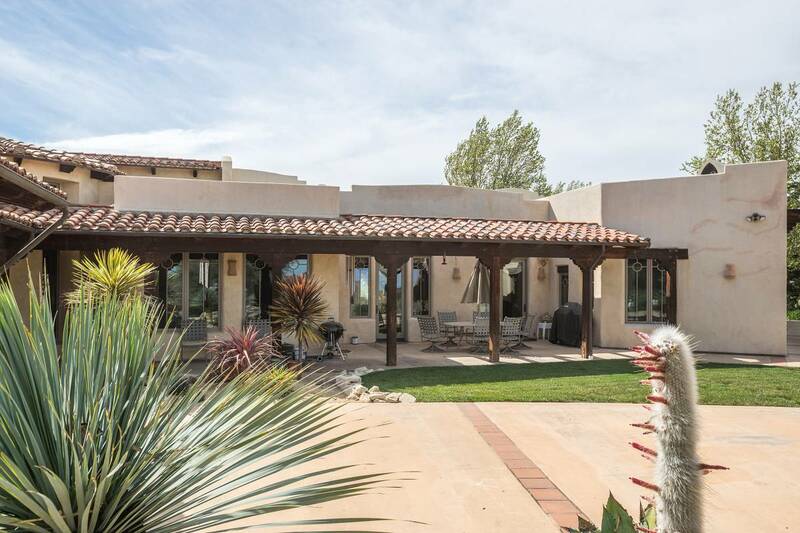 All three bedroom suites have their own fireplace and bathrooms, including the master having its’ own spacious walk-in closet, workout room and sauna. 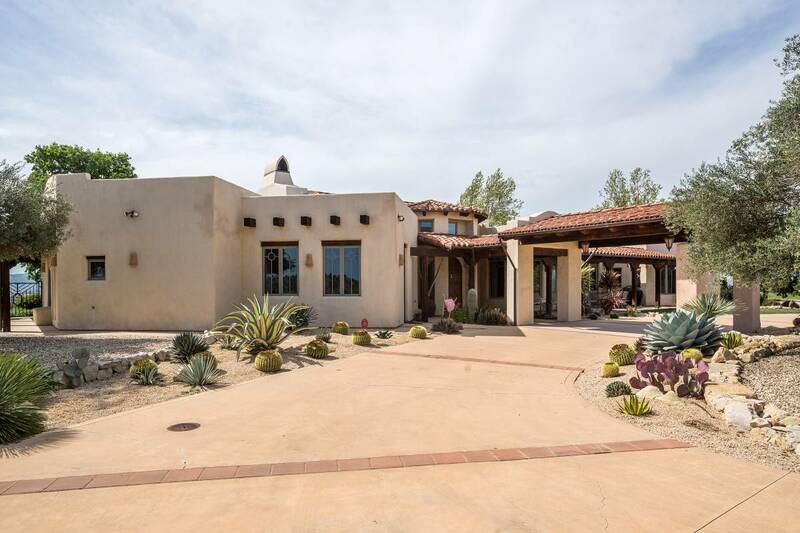 A private office, morning room, formal dining room with wet bar, study and temperature controlled wine room complete this lovely offering.